Need to clean house? Lexis Nexis is conducting a competitive book drive. 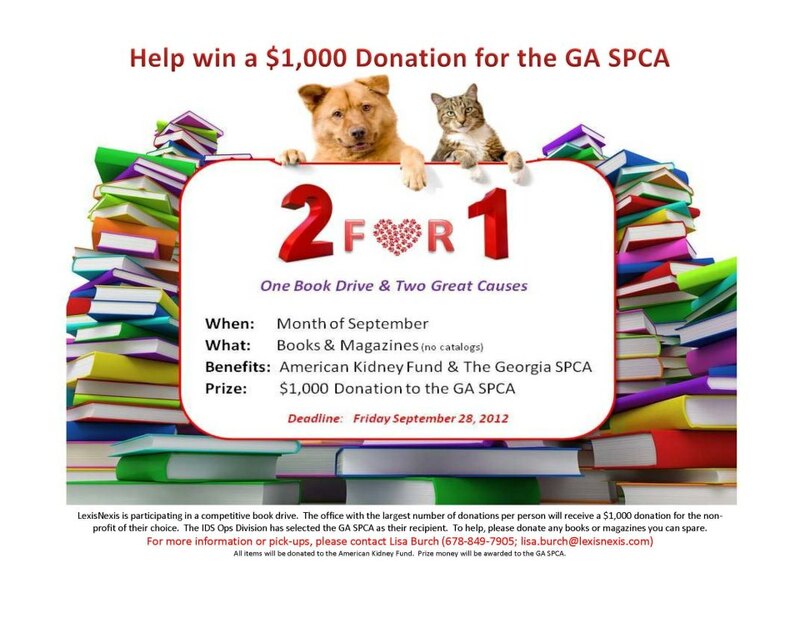 The office with the largest number of donations per person will receive a $1,000 donation for the nonprofit of their choice, and GA SPCA has been selected as their recipient! To help, please donate any books or magazines you can spare. Hard back, paperback, childrens' books, cookbooks, any type of magazine (no catalogs, please). For more information or pickups, please contact Lisa Burch at 678-849-7905; or send an email to lisa.burch@lexisnexis.com. They'll also have a collection box at the shelter.